Morgan State University Bears last played the North Carolina A&T in 2014 in Greensboro, NC. The Bears lost the game by 45 points and failed to score a single touchdown or field goal in the game. Saturday night, we have a chance for revenge against an Aggie team that is currently undefeated and ranked #15 in the nation in FBS Coaches College Poll. The only other ranked HBCU in that poll is Grambling University from the SWAC who come in at #22. So what that says to me is the North Carolina A&T is the numero uno in terms of HBCU college football rankings. The coach of the A&T Aggies is actually the former head coach of the Grambling Tigers, as well as the North Carolina Central Eagles, Rod Broadway. Coach Rod Broadway has "3" Black College National Championship Titles on his resume from each of the schools he coached at. That is indeed quite a remarkable coaching record. You could say that Coach Rod Broadway is the Coach Nick Saban of the University of Alabama's Crimson Tide, of the HBCU collective of schools. I rather say that Nick Saban is the Rod Broadway of the Division 1A schools. Not many coaches can say that they brought National Championship Trophies to #3 separate schools. 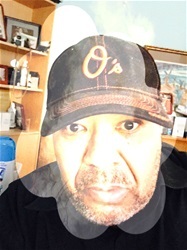 My Morgan State University Bears and Head Coach Fred Farrier had favorable reviews coming in this season. The defense of the Bears has actually played remarkably well coming into this MEAC contest, considering the time the defense is spending on the field due to Morgan's offensive inefficiencies. However, the offensive woes of the Morgan Bears have been its Achilles Heel. The team's weakness at the quarterback position has allowed teams to crowd the line of scrimmage and take away or negate Morgan's running game. With difficulty running the football and currently no passing game that has threatened any opponents defense. Morgan has had way too many 3 and outs to keep its defense fresher. With the defense playing 44 or so minutes per game and Morgan only controlling the clock an average of 4 minutes per quarter. The defensive unit has worn down due to the team's lack of offensive firepower. 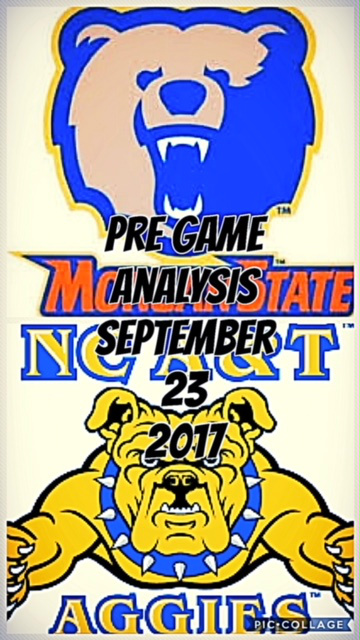 It is clearly a simple solution for the Morgan State University Bears to be competitive Saturday night at Hughes Field. They need extended drives which will eat up the clock. That will allow its vaulted defense time to rest. It would also be great if we could get an early lead to force the Aggies out of their game plan. I don't see how Morgan State can be victorious without having a balanced gameplan. That means running and passing but passing when Aggie's defense is anticipating the run and passing when the Aggie defense is anticipating a pass. They have to keep the North Carolina A&T Aggies off-balance while maintaining some degree of patience offensively. If they fall into early 3 and outs it will indeed be a long night for the Bears. The Aggie's punt returner, Kris Gardin is averaging almost 30 yards a return which doesn't bode well for Morgan's special teams. In that case, the only hope is that Coach Rod Broadway and his North Carolina A&T Aggies take the foot of the scoring pedal, keeping it respectable. The time is now for incoming Junior Transfer Quarterback Elijah Staley to play up to his press clippings. If Staley can stretch the field, Morgan can pull off an upset. If he plays like he's played in the three games prior to this important contest, well he may find himself getting bench burns from sitting the remainder of this season. Let's see if we can unlock the scoreboard and show some Morgan players celebrating in the end zone on a new video board.